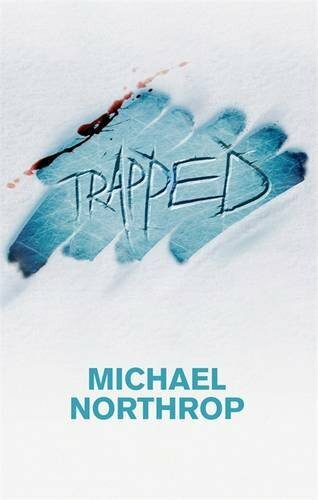 The Breakfast Club meets The Blizzard of the Century: A young adult suspense novel from PW Flying Start author Michael Northrop. Scotty and his friends Pete and Tommy are among the last kids waiting to get picked up at their high school. The snow has been coming down for hours, and it's starting to look like no one is coming for them. As the snow piles higher, their teacher Mr. Gossell leaves them behind to seek help--and disappears into the drifts outside. Now the seven remaining students are on their own, with no food and no electricity, facing a night of sleeping on classroom floors. Will their friendships survive the night . . . and will THEY? As soon as I realised this book had a group of teenagers locked in a school, my mind raced back to the 80's to the film 'The Breakfast Club' with Judd Nelson and Molly Ringwald. This story holds the essence of that film and transplants it into a natural disaster. Just imagine being stuck in a school for a few days with no means of escape! As the story progresses, you watch kids from the many different cliques become friends. They wouldn't normally talk to each other, but these unfortunate circumstances have brought them together and they have to face the situation head on. This book is about survival, about facing the elements and making your way through them. This book will evoke emotion in you. You will feel stifled and suffocated. As you watch the snow rise higher and higher at the beginning of each chapter and feel the desperation from the kids, you feel like you want to open all the windows and doors just to get a little sunlight and fresh air in. I swear it made me feel extremely uncomfortable. I was desperate for someone to come and save these poor kids. This isn't a fast book at all, the story builds slowly with each new layer of snow adding another layer of difficulty to their situation. For some reason, before reading it, I had got it into my head that it was going to be a creepy book, but it wasn't at all. I think it might have been the blood on the cover that distracted me a little. Unfortunately the ending of the book left me wanting more. I was convinced it was going to be a Lord of the Flies kind of situation - you know, surely there would be a murder under such intense situations. I wanted more drama, but it wasn't there.But then perhaps I watch way too many disaster movies! The ending also left me with unanswered questions. Being a mother, I personally wanted to see what happened to each child. I wanted to check in on them and make sure they were OK.
Not to say that I didn't enjoy the book, because I did. I think it really shows how teenagers spend most of their teenage life trying to find where they fit into the intricate society of high school. You get to see how they learn to accept each other for who they are and what they stand for. If you want a read that will make you wary during snow storms, then this will definitely fit your need. How interesting, the way the cover and the book just don't quite match up. That said based on your review I think this is a book I would really love. I can see how the cover and title would create the wrong expectations... they definitely suggest disaster and mayhem! I loved The Breakfast Club back in the day and wonder what I'd think of it now. I'm very curious about this book now, even if the ending isn't all it could be. Essjay - you might want to read it after the snow season has passed! Carmen - the blood on the cover had me convinced there would be murder. Jenni - I did enjoy it, it just didn't match what I had assumed the book would be about. Nymeth - they do, don't they! Bermudaonion- It is a good book, a bit slow, but good. Although you were let down a bit by the ending, this sounds like a book I'd like to read at some point. Thanks for your honest review, Vivienne! Sounds intriguing. I like the sound of this one. Suko - I think my expectations were too high. If I had approached the book with a different perspective I would have enjoyed it more. Petty Witter - It is different from anything I have read so far. Blodeuedd - book slump heading your way by the sounds of it. Hmmm...too bad it left you wanting more but 'The Breakfast Club meets The Blizzard of the Century', grabs my attention for sure. Thanks for the interesting review, I'll certainly adjust my expectations before picking it up! should be this week sometime.